Unleash the kitchen paper towel that cleans like cloth. 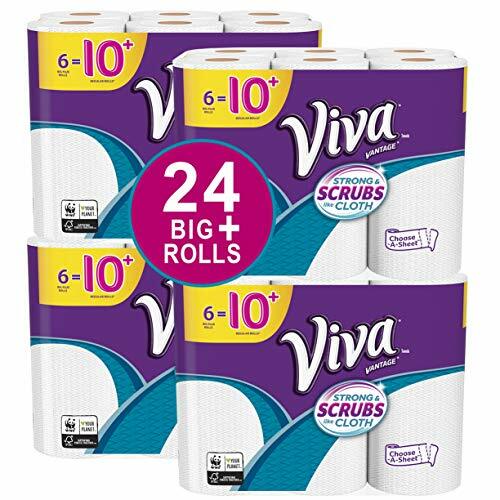 VIVA Vantage Paper Towels clean up more than just spills with a scrubby texture for scrubbing dirty pots and pans, shining stainless steel or even cleaning the. The sponge-like absorbency makes them perfect for kitchen and bathroom cleanups, and this pack of paper towels lets you select a size for any mess. If you have any questions about this product by Viva, contact us by completing and submitting the form below. If you are looking for a specif part number, please include it with your message.